London(PTI): Prince Harry has asked his older brother, William, to take on the role of best man at his wedding to Meghan Markle next month, Kensington Palace announced today. The 33-year-old royal is set to marry his 36-year-old American actress fianc e at Windsor Castle on May 19 and it was widely expected that he would choose his brother to be by his side during the ceremony. Harry, who was pushed down the line of succession to sixth in line to the British throne after the birth of Prince William and Kate Middleton’s new baby boy earlier this week, had been the best man at their wedding back in April 2011. “Prince Harry has asked his brother, The Duke of Cambridge, to be his Best Man at his wedding to Ms Meghan Markle,” Kensington Palace said in a statement. 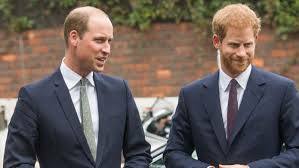 “The Duke of Cambridge is honoured to have been asked, and is very much looking forward to supporting his brother at St George’s Chapel, Windsor on May 19,” it said. The palace also released a picture of the two princes as young boys wearing police helmets to mark the occasion. Markle is yet to make an announcement about her maid of honour, with a number of her celebrity best friends being touted as possible candidates for bridesmaids, including Bollywood star Priyanka Chopra and tennis ace Serena Williams. More than 600 guests have been invited to the wedding ceremony, including 1,000 members of the public being welcomed into the grounds of Windsor Castle to mark the special day. A further 200 guests, including members of the British pop group Spice Girls, have been invited to the couple’s evening reception. Preparations for the royal wedding are now in full swing, with the palace recently announcing the list of musicians who will be playing at the ceremony. They include a gospel choir and 19-year-old cellist Sheku Kanneh-Mason, who won the 2016 BBC’s Young Musician award. Prince Harry and his bride-to-be have chosen to organise their nuptials by breaking away from established royal protocols, including having no official list of political leaders , which means British Prime Minister Theresa May and US President Donald Trump have been left out from the grand ceremony. The couple have also announced that guests should consider donations in place of wedding gifts, with Myna Mahila Foundation, an organisation that works with women in Mumbai’s slums to provide them with employment opportunities, among the handful of charities chosen for the purpose. had been the best man at their wedding back in April 2011.